We Buy Houses in Pennsylvania and New Jersey. We have built a reputation for helping homeowners get rid of their properties quickly and easily. If you are looking to sell your house fast and want to avoid the hassles of working with demanding buyers or avoid agent fees, then Personal Property Managers is the solution you have been looking for. We’re honest, fair and easy to work with. We focus on win-win deals. We’ll do our very best to help you in any way we can. Don’t worry. We can help. We are the one-stop solution you’ve been looking for. We buy houses anywhere in Southeastern Pennsylvania in the counties of Bucks, Montgomery, Philadelphia, Delaware, Chester and the Main Line. In New Jersey we buy homes in the counties of Hunterdon, Mercer, Monmouth, Morris, Middlesex, Union, Ocean, Burlington, Essex and Somerset and more. Tell us about your PA or NJ property – Quick, Easy & Free! If it meets our buying criteria, we’ll contact you to set up a quick appointment to view the property. We’ll present you with a written, no-obligation offer. You choose the closing date! We close at a local closing attorney, and can close within a time period that is convenient for you. What Do You Have To Lose? Get Started Now… Or Give Us a Call Now at: 215-485-9272 or 908-368-1909. How does your program work? It’s not really a program. Each property is unique, each homeowner has different needs and challenges, and we provide customized solution to meet your individual situational needs. You let us know what your situation is, and we’ll fill in the details. It’s that simple! We are free! We are fair and we are honest. We make our money by buying your property, investing in updating it, fixing needed repairs and then reselling it for a modest profit. What types of properties do you work with? What sets you apart from a real estate agent? Great question! First of all, we are BUYING your property AS IS. No need for a thorough downsizing, cleaning it out and cleaning it up, or staging, or worrying about all the little details that a new homeowner would demand. And secondly, there are no listing fees. What sets you apart from other homes for cash companies? We have been in business for over a dozen years. We are an award winning service disabled veteran owned company and most of all we are fair and honest. There are no hidden fees. We let you know right up front what your options are. What the overall condition of your property is and the cost to repair or invest in upgrades and then based upon that, we provide you an honest / common sense all cash offer, that is hassle free which allows you to move on from an often overwhelming and challenging situation. How long do I have to move out? How long do you need? We can set our closing date as far out as needed. One of the benefits of working with us is that you can choose when you want to move out. On average, we close between 30-90 days. Much of it depends upon evaluating the property, conducting market comps, assessing what may be needed to address repairs or updates and getting a clear title. BUT, if you need to close ASAP and the numbers work out, we have built a team that can close much faster. What do you need to know in order to buy my house? We can get started with just some basic information about your house. Like: Its address; How many bedrooms? How many bathrooms? Is there a garage? Is the basement finished? What is the overall condition of the property? What style of house it is: single family, townhouse, condo, etc.? Is there a mortgage on it and if so, how much? Who the deeded owner of the property is? Is there a clear title without liens? How do we get the process started? It is as simple as clicking on the contact us button on this page or calling us at 215-485-9272 or 908-368-1909. You can get rid of the headache of that property fast and avoid paying on-going utility bills, tax bills, insurance bills, mortgage payments and more. You get the drill. If you list your house and wait 90+ days to close… you have to figure in all of the costs of holding that property during the time you have that property listed and are waiting for the property to close. Don’t worry about fixing anything up or cleaning your house again and again for buyer after buyer We do not care how dirty your house is (we’ve seen worse!) or how many repairs are needed. This saves you time and money that you can keep in your pocket. 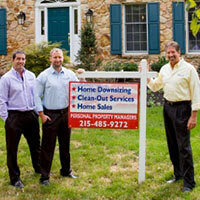 Because we are a full-service professional homebuyer in PA and NJ, we make it easy for you. What we offer you is what you get (of course minus any mortgage payoff or other encumbrances on the property and related closing cost). So when you add up the time you could save by working with Personal Property Managers, the no-hassle experience, and the money you’ll save on commissions, fees, and holding costs while you wait to sell the traditional route… for many area home owners selling to Personal Property Managers may the best viable option. Is Your Property In Need Of A Renovation? We often help people who tell us: “I need to sell my home but it needs so much work and I don’t have the money or time to deal with it.” A house requires constant upkeep and maintenance to keep it in top condition. This isn’t an easy task with your busy life. Houses that haven’t been updated in years often need lots of work. Most of the homes we buy require renovations that cost $50,000 to $100,000. This is what you can expect to spend on the most common repair items. The prices below are the mid point of a range that depends on the size of your home and the extent of the renovations needed. What does it cost to renovate a house in PA or NJ? We believe in honesty and in full transparency. At Personal Property Managers, after we conduct an evaluation of your property, and look at its overall condition, along with the work that will be necessary to meet local code repairs and upgrades, plus assess market comps, we will make you a fair and reasonable offer to purchase your property. We think that you will agree that this is simple, fair and just makes common sense. However, we offer other benefits that going the traditional house sale route cannot offer. So,if you need a quick and hassle-free solution then Personal Property Managers is the one-stop solution you have been looking for. Call today to put your worries behind you. For more information please contact Nick Santoro or Joe Santoro of Personal Property Managers at 215-485-9272 or 908-368-1909. Learn more about Personal Property Managers from our recent News Stories. This entry was posted in Bommers, Uncategorized, We buy homes for cash and tagged asis, cash, homesforcash, joesantoro, nicksantoro, personalpropertymanagers, webuyhomes on September 21, 2018 by Joe Santoro. If you are selling your home it is very important that you understand how important various home inspections are. If you are planning on selling your home, you can count on a qualified buyer spending money out of their own pocket to have an independent third party conduct a home inspection. This is a virtual certainty in today’s market. For a seller, this can be an extremely stressful time. Let’s face it, as sellers we all think our home is just fine. We’ve live there a long time and often overlook small seemingly insignificant things as we go about our lives. 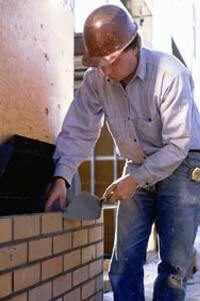 However, you can count on a home inspector to find just about everything wrong with your home. They will generate a report often 40 pages in length with pictures to document their discoveries. Often times this is where a seller can become insulted and frustrated and a buyer can begin to have second thoughts. Having a strategy in place and remaining calm is very important. That’s not all…in addition to a home inspection, your local municipality may also require very specific inspections on things like chimney, fire places, septic systems, smoke detectors, carbon detectors, building permits for work that was done on your home, sidewalks and more. So, getting an understanding of what the process is and how to prepare for it is very important. Selling a home can be a stressful experience for most homeowners. When it comes to home inspections, most homeowners are not used to having a stranger peer into their attic, open every cupboard and closet or test every appliance. For some, this stress can turn into a major nightmare. 1. Be prepared for the inevitable. When the home inspector comes through and begins pointing out flaws, many homeowners take the comments personally. This is why it’s important to make sure that your house ready for inspection. Before the inspection process, it can be helpful to do a walk-through of the home yourself and note potential issues. By taking a really hard look at your home prior to putting it on the market will reduce the shock when the inspector points them out, and it will give them the opportunity to fix it preemptively. Before the inspector arrives, as a seller, you will want to decide if you want to be in the house during the inspection. You can count on the buyers being present during the inspection, which can take several hours. It can be very helpful for a seller to be prepared to answer questions that the inspector may have such as repairs, stains, leaks and other commonly asked buyer and inspector questions. This can help alleviate any tense or awkward moments. 3. Remain calm and focus on your goal. When the time comes for the actual inspection process, sellers should be reminded that the home inspector is simply doing his or her job. It is important for all parties to remember this especially when the inspector comments on the improper installation of their favorite fixture. If the buyers are present during the inspection it is very important for the sellers to understand that often times the home inspection, with all the emotions that may be associated with it can terminate a deal. Every seller thinks their house is a castle and every seller wants price concessions or repairs for often even the smallest home inspection identified issues. It is important for sellers to take the emotion out of the situation. Sellers should be reminded to keep their eye on the bigger picture, which is their goal of selling their home in the first place and getting the best return on their investment and finding a new home. Lastly, sellers should be made aware that a home inspection is just the first step. Often times local townships also require a certificate of occupancy inspection. C of O inspections often focus on safety issues ranging from sidewalks, steps, railings, smoke detectors, carbon detectors, septic tanks, chimneys, heating ventilation systems and will also check to see if proper permits were taken out for work done on this house. If a buyer is financing the purchase with an FHA or VA mortgage there will be additional inspections, so having a sellers house in order is critical to any deal to move forward towards settlement. Additionally, FHA and VA backed mortgages require the seller make the necessary repairs to a home prior to mortgage approval and settlement. This entry was posted in home selling tips, real estate, Uncategorized and tagged home, homeinspections, hometips, inspections, joesantoro, nicksantoro, personalpropertymanagers, property, realestate, realestatetips, sellyourhome on March 10, 2017 by Joe Santoro. This entry was posted in Uncategorized and tagged joesantoro, personalpropertymanagers, propertymanagement, propertymanagers, tenant, tenantservices on August 9, 2016 by Joe Santoro. With Americans living longer and longer, and with the baby boomer retirement population exploding, and expecting to almost double in the next few years, one option that many families are taking is having elderly parents move in with their adult caregiver children. We have found that it’s very important to consider certain home modifications so you can accommodate elderly loved ones moving in with you. This is part of a continuing series of articles and helpful tips and insights into senior care and senior transition services by Nick Santoro and Joe Santoro of Personal Property Managers. Personal Property Managers specializes in senior transition services such as downsizing, content clean out and removal, estate sales, full service real estate and property sale and moving and services PA and NJ. Install nonskid strips on or near steps and near the edges. For those with visual impairments, the strips should be a color that contrasts with the color of the steps. Light switches should be located near all entrances to each room, at each end of hallways, and at the top and bottom of stairwells. Lighting should be sufficiently throughout the home. Consider replacing traditional door knobs with lever handles which are easier to operate than doorknobs. Interior doors should have locks that can be opened from either side. Hallways and doorways should be wide enough to accommodate a walker or wheelchair. The water heater should be set at 120 degrees to reduce the risk of scalding. Solid color carpeting with dense pile will lower fall risks. Deep pile carpeting can be more difficult to walk on, and patterned carpeting may cause optical illusions for those who have difficulty with depth perception. To lower fall risks with hardwood floors, avoid wax or high gloss polishes or throw rugs. Avoid room entrances with raised door thresholds. Smoke alarms and carbon monoxide detectors should be present near all sleeping areas. Check that kitchen cabinets and countertops are a comfortable height, and that there is space to roll a wheelchair under a counter, if needed. A side-by-side refrigerator/freezer will be easier to use than a top-bottom model. Electric or gas stoves should not be positioned under a window because the presence of curtains will increase the risk of fire. Sinks should have a single-lever mixing faucet. The touch pad of a microwave should be large and easy to read, and the device should be in a convenient location. There should be one bathroom located on the main floor of the home, as well as near the bedroom (if the home is multi-level). Grab bars should be present or can be installed near the toilet and tub/shower. Check that the toilet is a comfortable height. A pedestal sink may be needed if a wheelchair or regular chair will be used in front of the sink. Avoid throw rugs and bathmats. The floor should be carpeted (low pile), or matte-finished, textured tile instead of a smooth, potentially slippery surface. Towel racks and built-in soap dishes should be secure and not located where they might be used as a grab bar. One Bedroom should be available on the main floor of the home. We have learned over the years that these modifications can make a world of difference for your elderly loved one. For more information on real estate or home downsizing please contact Nick Santoro or Joe Santoro of Personal Property Managers at 215-485-9272 or908-368-1909. Personal Property Managers specializes in helping home owners transition from their home of many years into a new community. Personal Property Managers services Pennsylvania and New Jersey and offers downsizing services, estate sales services, home staging, discount full service real estate services via its association with Every Home Realty. Learn more about Personal Property Managers from our recent News Stories. This entry was posted in Uncategorized and tagged caregiver, caregivers, downsizing, eldercare, elderly, joesantoro, moving, nicksantoro, personal property managers, personalpropertymanagers, realestate on April 14, 2016 by Joe Santoro. Many people do not realize how to handle all of the various categories of things found in the common household and are overwhelmed with even beginning the process of moving or cleaning out a home after a loss of a loved one.. Here are some examples of how many of the usual items often found in each room. This is part of a continuing series of helpful articles from Joe Santoro and Nick Santoro of Personal Property Managers to assist you in downsizing or moving from your home. Personal Property Managers services New Jersey and Pennsylvania. • Keep: Cooking related items you truly need or could use to upgrade what you have in your own kitchen. • Sell: Vintage cookware, Le Creuset pots and pans, Fiestaware, Stangl plates and bowls, etc. • Discard: Office supplies that are no longer functional – Pens that don’t work, dried up erasers, etc. This entry was posted in Uncategorized and tagged downsizing, home dowsizing, home sale, home selling tips, household content, joesantoro, moving tips, nicksantoro, packing tips, personalpropertymanagers, personalpropertymanagers.com, relocation, tips on February 23, 2016 by Joe Santoro. The spring season is upon us. This is a time of new beginnings and a time for change. For many homeowners this is the start of the spring home selling season. For seniors this may be a time of transition. This may also mean a transition from your home of many years into an active adult community or a senior care facility. This often raises the question of what to do with your home contents. Do you want to keep them and bring them with you to your new home or do you want a change as you transition into your new home? If you want a change, and want to look into buying new furniture, then this presents another challenge; what to do with your current furniture and your other household contents? Exploring an Estate Sale is one option. This is part of a continuing series of article and helpful tips and insights into senior care and senior transition services by Nick Santoro and Joe Santoro of Personal Property Managers (www.personalpropertymanagers.com ) Personal Property Managers specializes in senior transition services such as downsizing, content clean out and removal, estate sales, full service real estate and property sale and moving. Selling the house, de-cluttering, cleaning-up and clearing-out your house and its contents can be both an exciting and daunting challenge. With the cost of senior care and perhaps moving into an active adult community being extremely expensive, the desire to maximize the value of a lifetime of memories becomes especially important. With the help of an Estate Sale professional such as Personal Property Managers (http://www.personalpropertymanagers.com/estate_sale_liquidation_services.htm ) the desire to convert a lifetime of possessions into cash can become a reality. One of the first steps in downsizing is to recognize that not all the belongings you have in your current home can fit into your new home. Often parents would like to pass their belongings to their children. This presents another challenge, because their grown kids are often very busy or have totally different tastes. As a result, many parents will simply throw away, give away or donate everything in a belief that these items have no real value to others. Nick Santoro of Personal Property Managers, a certified Estate Sale specialist says that you’ll be surprised as to what people will actually buy at an Estate Sale if it is conducted properly and advertised and promoted professionally. Nick says that one person’s trash is another person’s treasure. When client are trying to sell something, they should think like a buyer. Make believe that the shoe is on the other foot, and set up your sale accordingly. The success of an Estate Sale will depend on three things – 1) marketing; to create awareness, 2) selection of items for sale with lots and lots of pictures (to be included in your advertising) and 3) realistic and attractive prices to get people to buy; remembering that what one paid for an item and what it will sell for at an Estate Sale are often two very different price points. Selection – an estate sale should encompass a household of different items (furniture, appliances, tools and more), placed in an attractive and clean display, and staged to bring focus to the items that are most likely to catch people’s eye. Pricing Estate Sale items at reasonable and realistic price points is critical. As a general rule of thumb, this usually means items may sell for about 20% of original cost…but this is a very general rule and depends on many conditions such as its condition, its uniqueness, its value and so on. Although many items will have great sentimental value or may have cost a lot originally, they will most likely not be worth as much to potential buyers as they are to you. Take the time to research various websites to make educated and professional price comparisons. Understand that an estate sale is really a full house version of a garage sale. Things are spread throughout the entire home, not just the driveway. It is important to have professionals cover the entire home as salespeople and for security to avoid theft. Be prepared to negotiate. Negotiating prices is the foundation of every garage sale and estate sale. Valuables like gold, precious stones or signed artwork should be tested and appraised, or left out of the sale. Estate sale buyers may not be the right buyers for true valuables. You may need to find more specialized sources to sell these. Proper Estate Sale promotion, marketing and advertising is critical to an Estate Sales success. Personal Property Managers designs special web pages dedicated to each of their client’s individual estate sale and then promotes them on a host of Estate Sale Websites and other proprietary venues. You’ll want to draw as much attention to the sale as possible by using signs along public roads. We have found that 40-50% of your buyers will come from the signs, so large noticeable signs with proper messaging and strategic placement is very important. Prepare a fanny pack for each staff member with sales materials to keep the sale running efficiently and smoothly. Hand out tickets starting an hour or so prior to the sale to allow access on a first come, first serve basis. Make sure to only allow enough people in at a time to follow fire department regulations. Personal Property Managers, LLC (www.personalpropertymanagers.com ) can help you in the process of asset liquidation, Estate Sales and moving. At Personal Property Managers we specialize in downsizing, content removal and liquidation, Real Estate / property sales and moving. With one call, Personal Property Managers does it all. For more information please contact Nick Santoro or Joe Santoro of Personal Property Managers at www.personalpropertymanagers.com or simply give us a call at 215-485-9272 or 908-368-1909. Personal Property Managers specializes in helping to transition elderly ones from their home of many years into senior care communities. Personal Property Managers services Pennsylvania and New Jersey and offers downsizing services, estate sales services, home staging, full service real estate services via its association with Every Home Realty to help sell homes and their contents. This entry was posted in Uncategorized and tagged downsizing, estate sale, home selling, how to conduct an estate sale, Joe Santoro, moving, Nick Santoro, personal property managers, personalpropertymanagers, planning an estate sale, real estate, seniors, transition on April 23, 2014 by Joe Santoro.